Ice cream, love by many and yet it is so hard to find nice ones around, don't you think so? But fret not, as Freshy Freeze is now opened at Nu Sentral, right in the heart of KL! So what is Freshy Freeze you may ask? 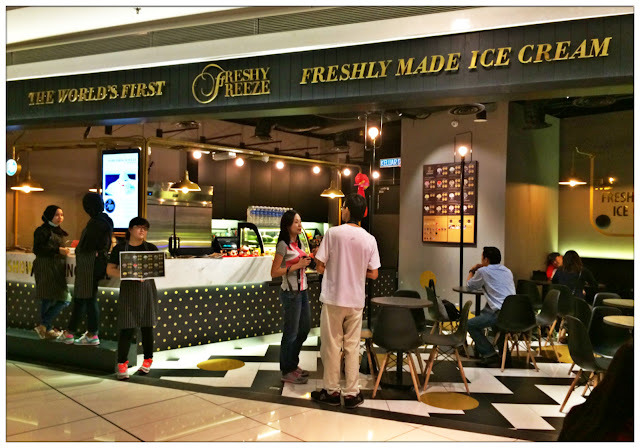 Some of you who often goes to Bangkok for travel purpose you may have seen Freshy Freeze located at Central World as well as other Central Shopping Centres around Thailand. Now, you don't have to go all the way to Thailand to get your fresh ice cream fix as you can have it here at 5th floor Nu Sentral, right beside the cinema. 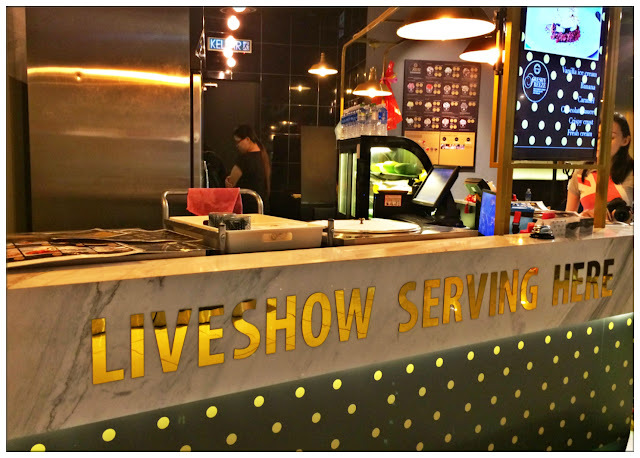 Some of you may wonder, what does it mean by "Liveshow Serving Here", and where are all the ice creams that's on the menu? I don't see no ice cream in the shop! After searching high and low, only I realize all the ice cream of Freshy Freeze are freshly made! On the spot right after customer place their order. 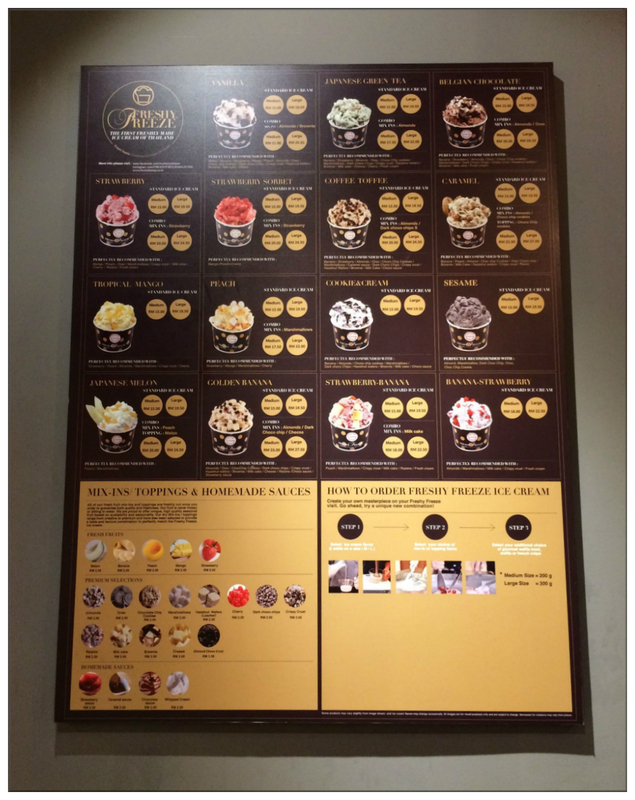 Huge varieties of ice cream flavours as well as toppings. You can mix your own combination of flavours and toppings, create your unique taste of fresh ice cream! 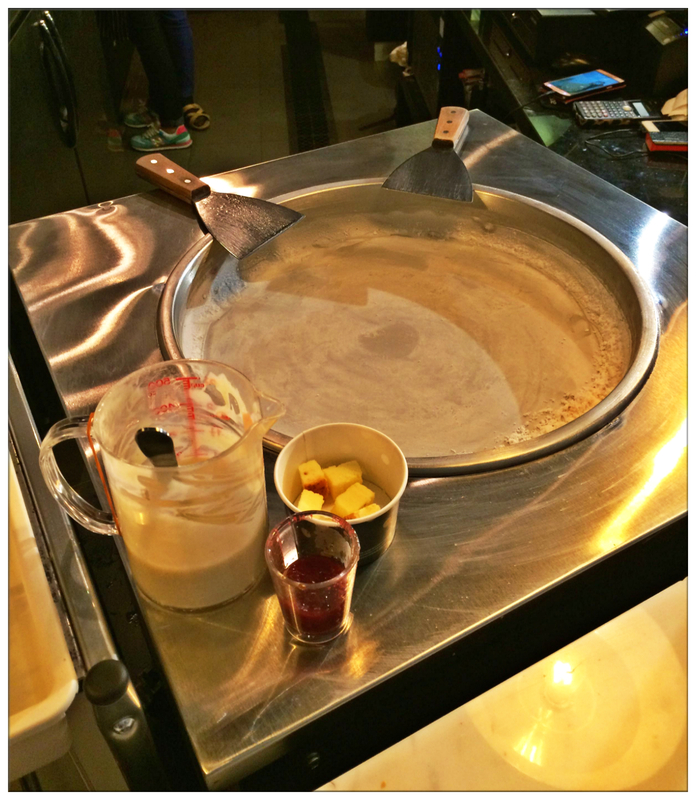 Additional choice of gourmet waffle bowl, waffle or french crêpe. And voîla! Wait for your fresh ice cream to be made on the spot. 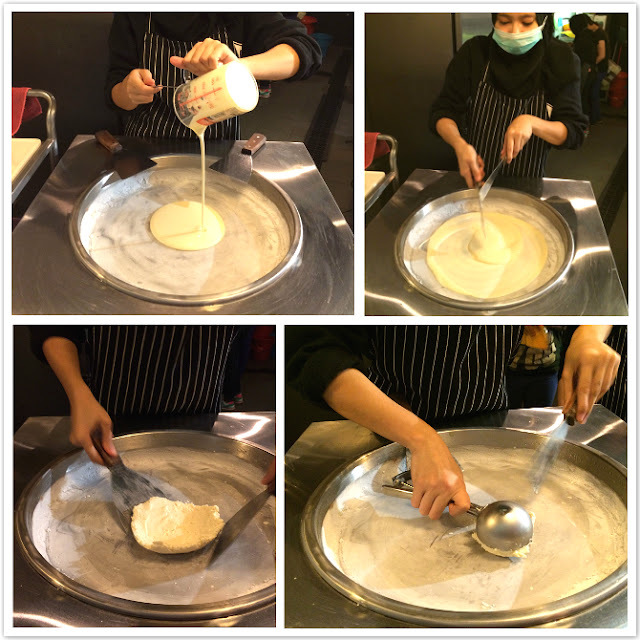 The liquid mixture of ice cream were pour onto a frying pan that's freezing in -22 Celsius degree, the liquid mixture froze within seconds and you can start scraping the ice cream off the pan, keep tossing and turning the ice cream until it is all dry and solidify, then you can scoop it out from the pan and start decorate it with toppings of your choice. Without freezing your ice cream overnight like usual ice cream parlour, freshly made ice cream like Freshy Freeze's are tasteful, smooth, doesn't melt easily, and most of all, doesn't have the ice bits that froze in between ice cream that "polluted" ice cream taste. Aside from ice cream, Freshy Freeze prepared the freshest toppings as well, making your ice cream tasting experience an awesome one! Strawberry Cheesecake is one of Freshy Freeze's hot seller. 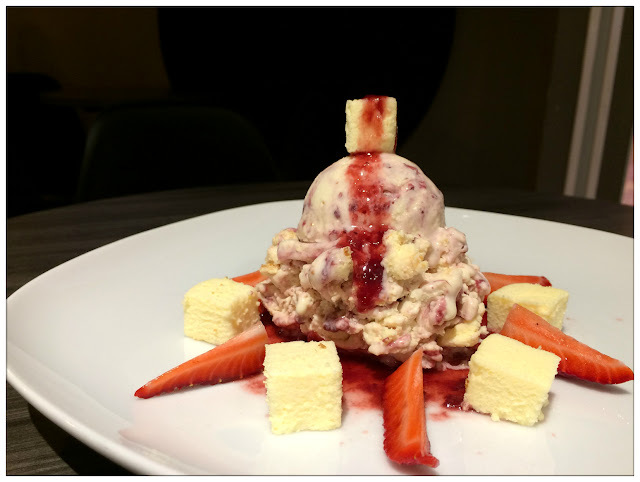 Smooth cheesecake accompanied by the sweet and sour strawberry bits, mixed and fry with the ice cream, each and every spoonful of vanilla ice cream are burst with the flavour of cheesecake and strawberries, leaving you wanting more and more. If you know your flambé, you'll definitely noticed something missing in this dessert as there are no alcohol to this flambé, but it tastes pretty close so you'll get the hang of it. In order to cater the needs of muslim customers, as well as kids, this dish contains no alcohol but taste equally good! 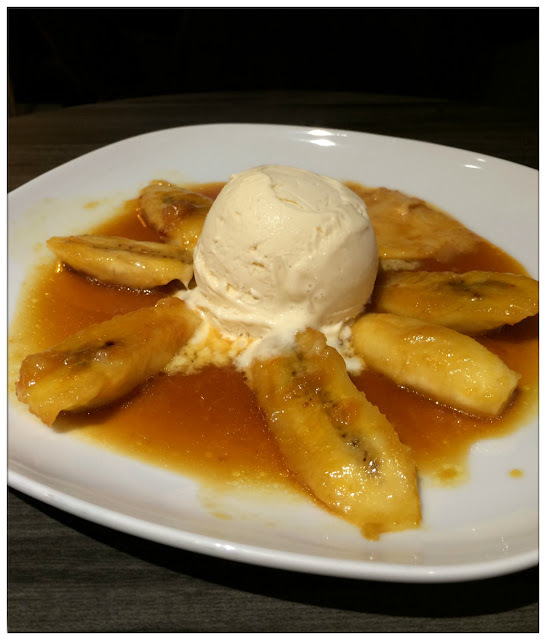 Soft banana pieces and french crêpe soaks in the sauce, paired with fresh vanilla ice cream, mm-mm~ so good! Customers can fry their own ice cream too if they are up for the challenge! I kinda messed up the ice cream hahahaha definitely not easy! 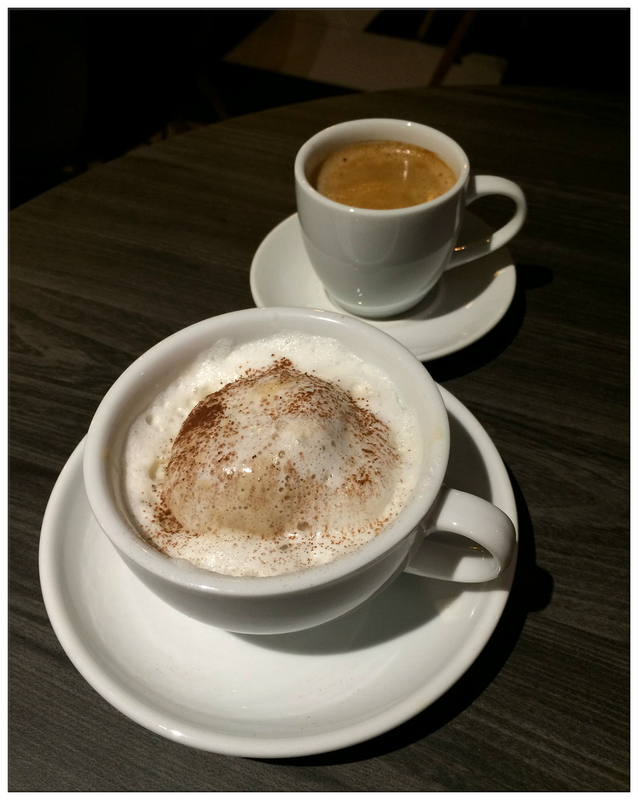 To be honest, I would list Cappuccino Calling as my favourite of all I've tried that night, because as a coffee addict, I find Cappuccino Calling is the perfect cup of coffee dessert I would want everyday. 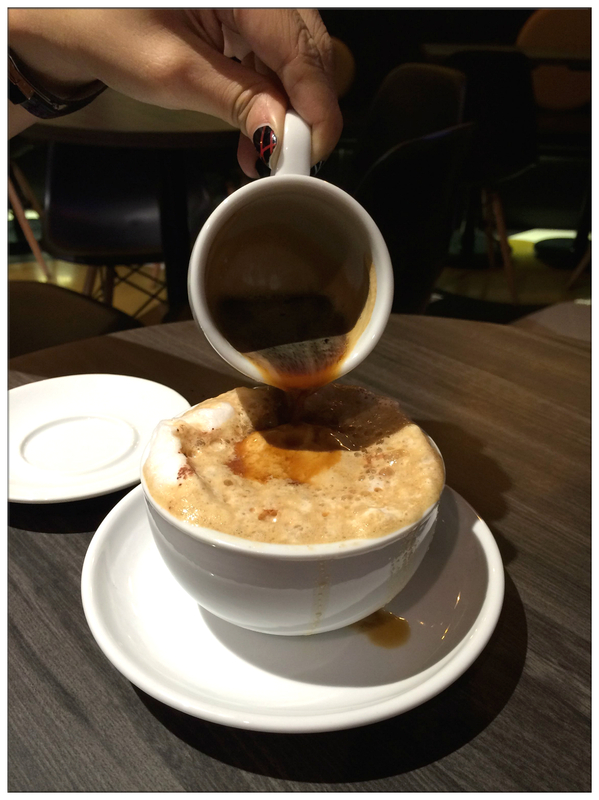 Fresh coffee ice cream with the amount of sweetness that's just right, smooth foam and also thick, aromatic espresso shots, it is literally heaven for coffee lover! If Cappuccino Calling is for coffee lover, Belgian Chocolate definitely curated for chocolate addicts. 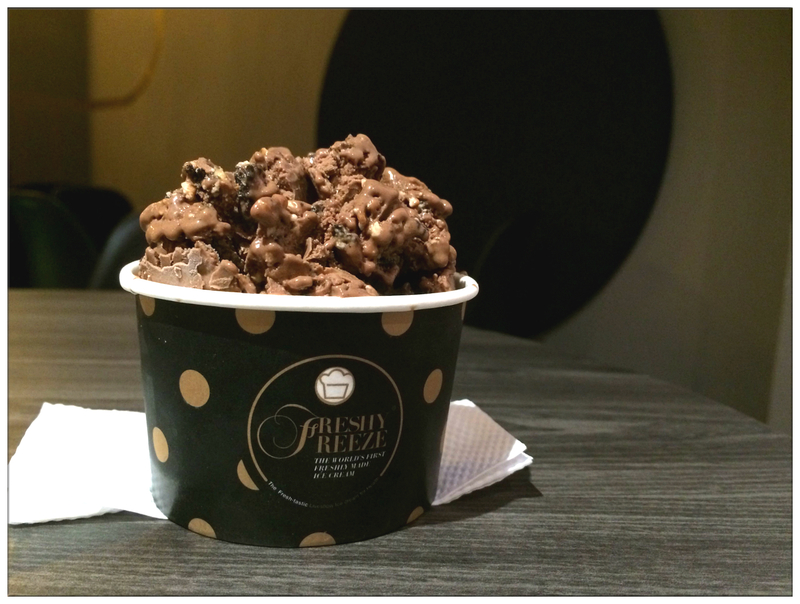 Thick Belgian chocolate ice cream, with crunchy almond bits and also tons of Oreo cookies, this is one cup that no dessert lover will reject. 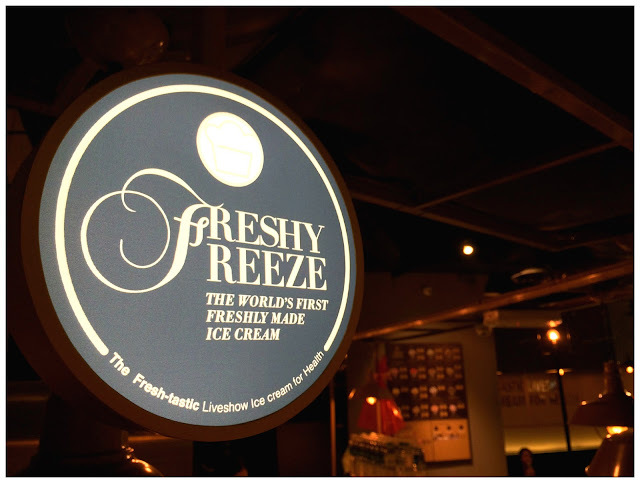 Another great perks of having Freshy Freeze as desserts is aside being freshly made on the spot, there are no colourings and preservatives added into any of their ice creams, serving only premium grades desserts to all ice cream lovers. We definitely had so much ice cream that night and yet I'm wanting it more now! Definitely gonna go back for their Cappuccino Calling soon. 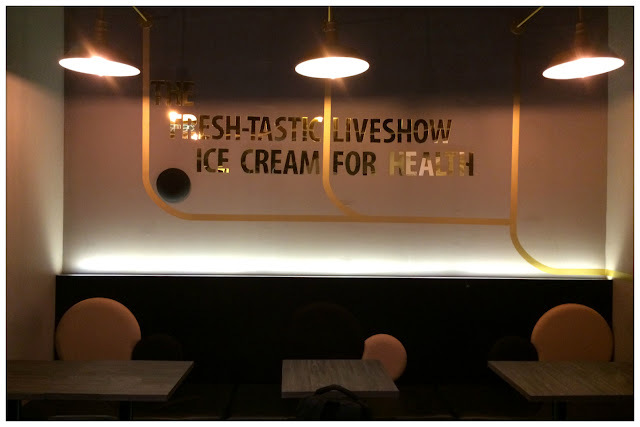 It definitely is a fresh-tatic live show ice cream for health! Business Hours: 11a.m. - 10p.m.